Every Friday night is movie night at our house. Joel makes a big ordeal out of taking the girls to the "movie store" to pick out DVD's to watch. It's usually a daddy/daughter type thing, but I sometimes tag along. Once everyone is back home, they are allowed to watch both their movies no matter how late it gets (the girls get to pick one each....when Sophie is old enough to care, we'll have to rework that). Since we were at the football game this past Friday, we went straight to Hollywood Video from the high school. I don't like leaving my camera in the car, so it came in the store with me. And if you have it, use it, right? So here's a few pictures of our beloved movie picking tradition. 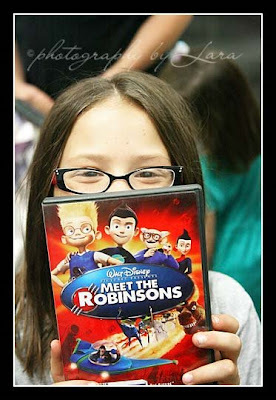 Just in case you care, the movies they picked this week were Meet the Robinsons and the extremely bizarre Ozie Boos. Amazingly, I think I would prefer watching the Barbie movies to that one. Is that a basketball movie Sophie is choosing? Too funny! Also those curls on her? I was just like that, too funny! 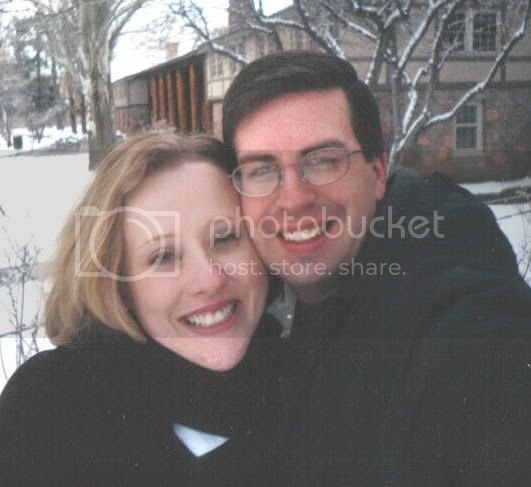 Plus what great thing to blog on, a family weekly tradition. Love you! I admire your courage to go all Halloweeny. I think I will be one of those moms who buys the costumes or just says, "Go look in Daddy's drawers and make something up!" BTW....have I mnetioned how talented you are with your photography? I am seriously in envy of you. I have a camera, but do I even use it to its full potential, that would be a huge negative. What a great tradition. 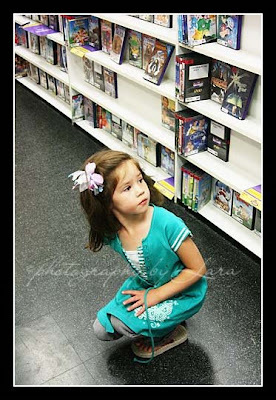 Lately my hubby has been taking the girls to pick out a movie from Redbox. They love it and always feel so special. LOVE Sophie's curls. So cute. Good luck with the costumes. Great pictures! What a fun way to remember this tradition. all my growing up(or at least from when I can remember and was old enough to babysit) my family did the same thing. We went to the video store, picked out our movies and we also always got pizza, and then my parents went on their date and we had pizza and movies. Great memories!!! Your Halloween costumes sound so fun! Sophie will make a great lion, although from what I hear there's not much cowardliness going on with her! What a fun tradition! We don't rent movies anymore cuz we always pay more in late fees than the movie actually costs:) So...we have a little library instead. I bet your kids love that! One Halloween I was trying to do the whole Peter Pan thing cuz I really wanted to see Damon in green tights:) HA! One day...maybe? Can't wait to see your costumes! So what's the plot line to Ozie Boos? I love your tradition. My kids still love to stay up late and watch movies together with a great snack. Did you like Meet the Robinson's? We rented that the other day and ended up really liking it!